The plane wreckage was found at the upper limits of Cascade Creek on the east side of the canyon, said Butch Knowlton, director of La Plata County Office of Emergency Management. The plane was found at 11,600 feet. The San Juan County Sheriff’s Office recovered the remains of those who were on board the Cessna 310 Monday, according to the office. La Plata County Search and Rescue crew members helped the San Juan County Sheriff’s Office recover the victims of the crash, Knowlton said. Four search and rescue workers spent Sunday night on the mountain to make sure no one disturbed the plane, Knowlton said. A National Guard helicopter was also at the scene and helped emergency responders access the wreckage. The plane left Barstow, California, on Sunday morning and stopped for fuel in Flagstaff, Arizona, en route to Amarillo, Texas, said Lt. Col. Mike Daniels, spokesman for the Colorado Civil Air Patrol. It disappeared from radar after refueling in Arizona. The Civil Air Patrol in Grand Junction responded about 3:30 p.m. Sunday after the it went off the radar, Daniels said. The Air Patrol was called off the search by Dolores County officials, who called in a local flight-for-life helicopter, Daniels said. This helicopter discovered that the plane was in San Juan County, he said. An investigator with the NTSB had arrived in Durango on Monday, said Peter Knudson, a spokesman for the agency. The NTSB is in charge of investigating civil air plane crashes and will likely release a preliminary report in the next week, he said. 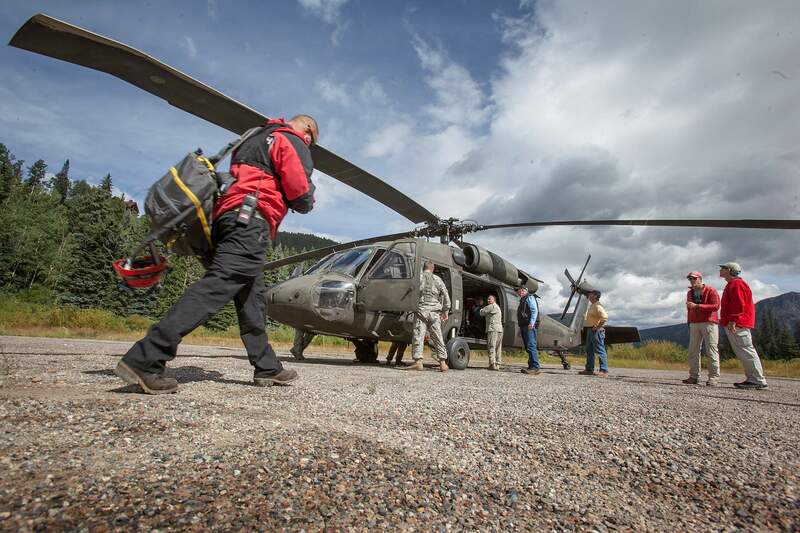 A member of the San Juan County Search and Rescue boards an Army National Guard helicopter to be flown to the site of a plane crash in the Cascade Creek area north of Purgatory on Monday where a plane crashed Sunday and killed five people. 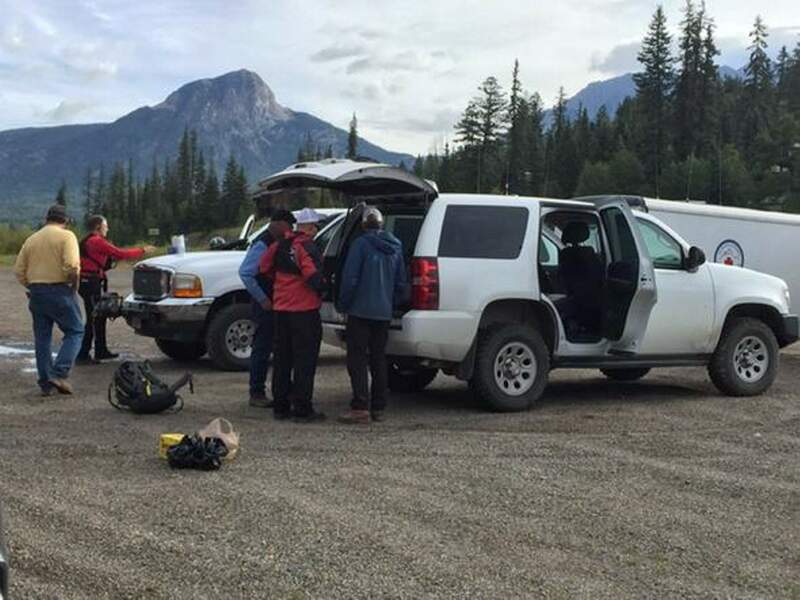 The plane was found at 11,600 feet. 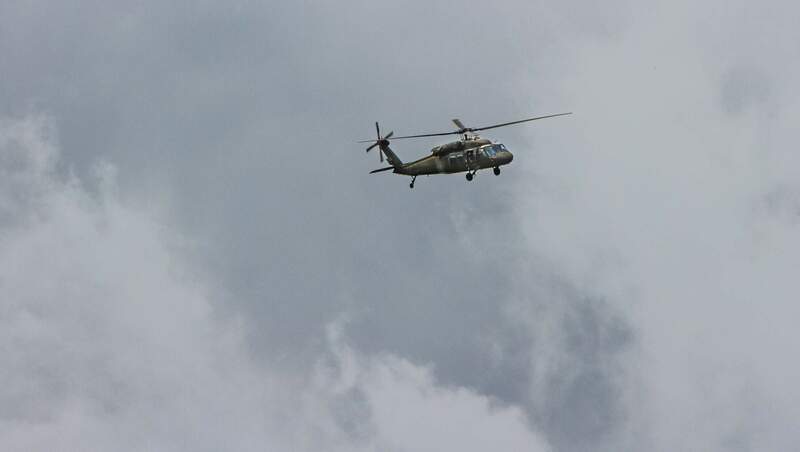 An Army National Guard helicopter flies towards Purgatory on Monday morning to pick up San Juan County Search and Rescue members working the plane crash in the Cascade Creek area north of Purgatory. Search and rescue crews await National Air Guard resources to begin recovery operations near Grizzly Peak, where a small plane crashed Sunday evening. 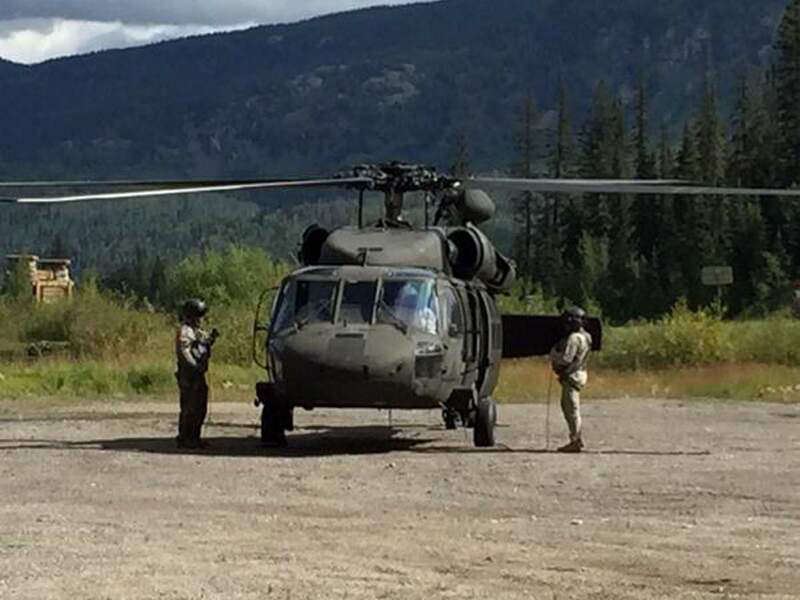 National Guard crews arrive near the Cascade Creek area Monday morning to help recover the wreckage of a small plane that went down Sunday evening.